To compile C program, we must have GCC compiler installed on our machine. 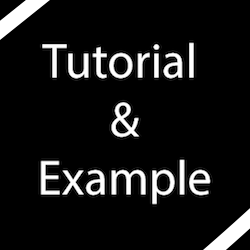 In this C tutorial, all the examples are compiled and tested using GCC compiler. Although we can use other C compilers also, GCC provides better performance. To installGCC(GNU Compiler Collection), visit official site (http://mingw.org/download/installer)and download after downloading we can install it in our system and compile or executeCand C++ program easily. There are following some step to install GCC compiler in windows. Download GCC (GNU Compiler Collection)compiler software. Install it inside the system. Opengcc command prompt and locate to the C source file location by using command. E.g. cd d:\c-program\Document> file-name. We can execute compiled program by using EXE file (a.exe), at the time of compilation it will automatically create an a.exe file. We can execute that executable file in a different system at the same platform. What is Compiler in C? Compiler is a computer program that converts the human readable (programming language) source code into another computer language (binary code). In other words, we can say that compiler takes the code and convert in to the binary code that computer can understand easily. Note: In this tutorial, we used GCC Compiler andsome text editor like Notepad or Notepad++. We can also use other IDE or editor. #include <stdio.h> We have to include standard input-output library functions. void main() It is a keyword that returns no value. printf() This function is used to print the data on the console. system(“cls”) This function is used to clear the output screen. /* some comments */ We can comment any line with this symbol that comment will not visible at the time of output. return 0; This command terminated the program ( main function) and returns 0. How to compile and execute the C program by using GCC compiler? We can compile and execute the C program by using GCC compiler. We can execute the compiled program by writing the exe fileof the program. Note: At the time of compilation of the C program, the “a.exe”exe file name will be created automatically but if we want to create own exe file, then the given above example will help us to understand easily.